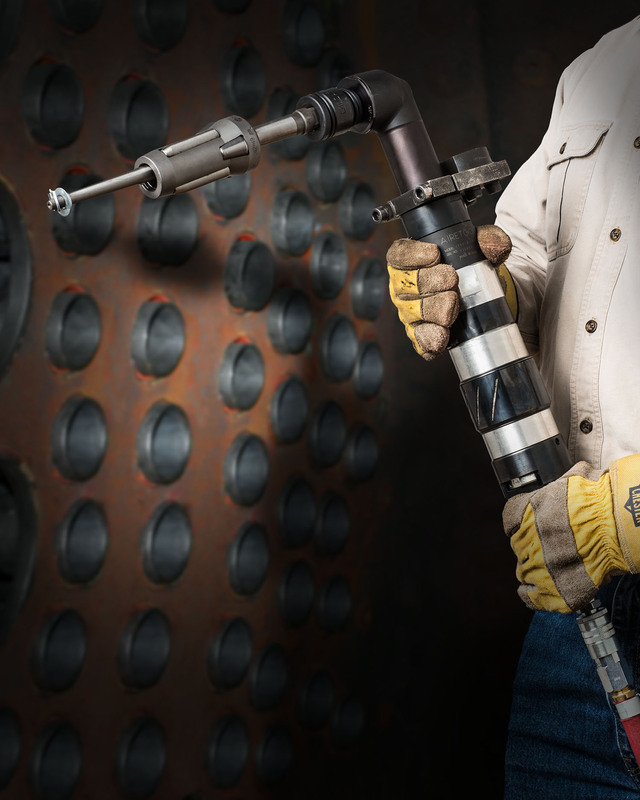 A complete line of boiler tube expanders that automatically control tube expansion to assure precise wall reduction when fabricating and maintaining tube sheet is available from Esco Tool of Holliston, Massachusetts. Esco MILLHOG® Rolling Motors and Tube Expanders are air-powered and feature a torque control setting which stalls the tool when it reaches the desired tube expansion to prevent over-under expansion. Enabling users to create a uniform and tight mechanical seal, these tube sheet expanders are easy to adjust and allow precise torque control from 25 to 325 ft.-lbs. Available with 90, 190, and 280 RPM motors, the right angle style Esco MILLHOG® Rolling Motors and Tube Expanders are offered as kits for tubes from 3/8” to 4-1/2” O.D. and tube sheets to 5-3/8”. Supplied complete and ready to use with standard shop air, they are ideally suited for creating mechanical seals in boilers, heat exchangers, and condensers. Esco MILLHOG® Rolling Motors and Tube Expanders Kits are offered for sale from $4,695.00 up or for rent; with 24-hour shipment available.